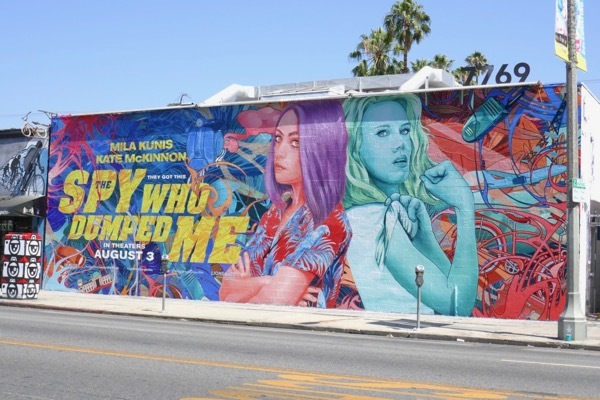 If you're looking for some summer spy fun to lighten the mood, then look no further than The Spy Who Dumped Me. 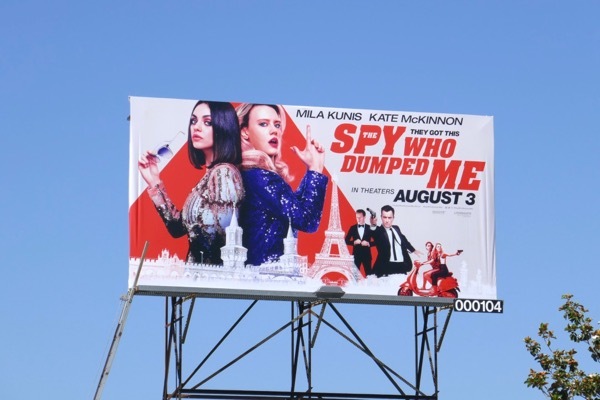 Mila Kunis plays 'Audrey' and Kate McKinnon is her best friend 'Morgan' who become embroiled in an international conspiracy when Audrey's ex-boyfriend returns (Justin Theroux) pursued by a team of deadly assassins. 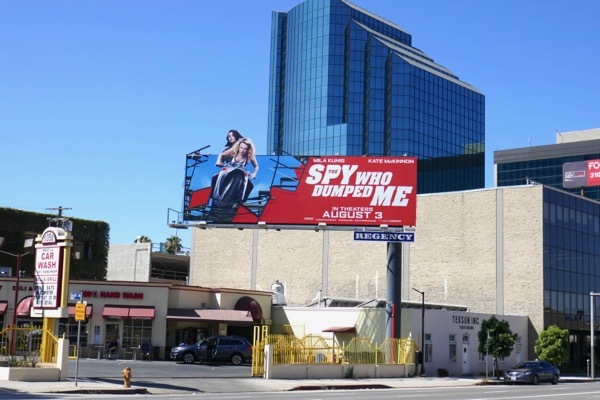 Turns out he works for the CIA, who knew? 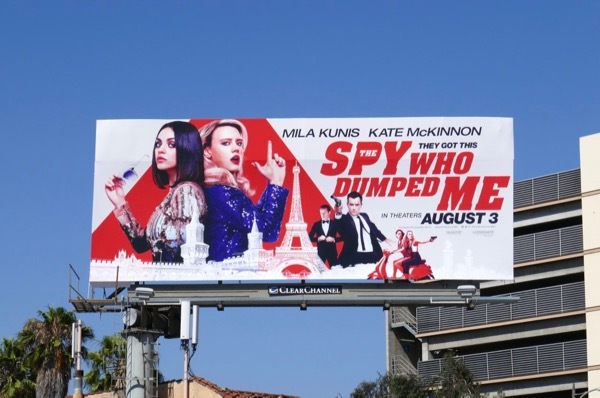 Obviously the sharp suits, penchant for cocktails and international travel didn't give the game away. 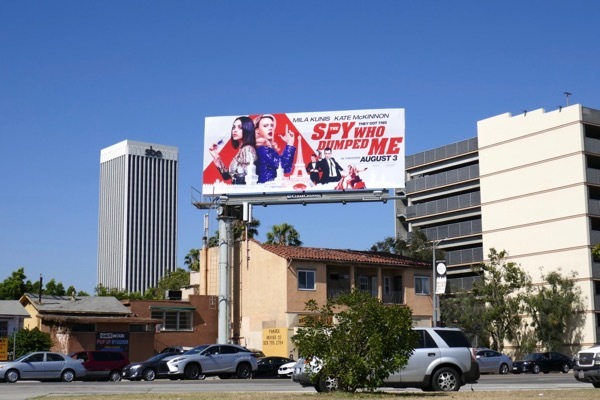 These billboards with their fun homages to espionage and action movies were spotted along Olympic Boulevard, Sunset Boulevard, Sepulveda Boulevard and Beverly Boulevard from July 13 to July 20, 2018. 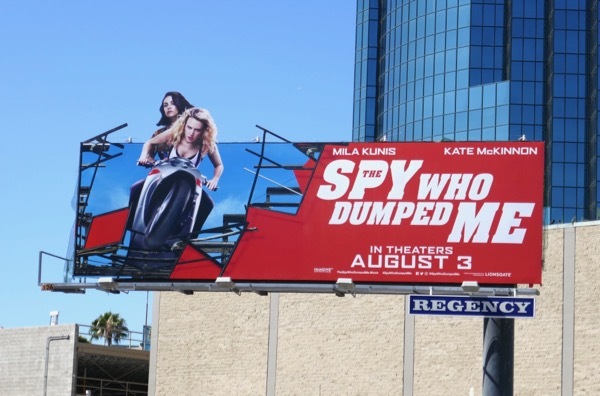 Meanwhile Mila Kunis admirers can also enjoy these Friends With Benefits movie billboards, these billboards for A Bad Moms Christmas and these Jupiter Ascending movie billboards. 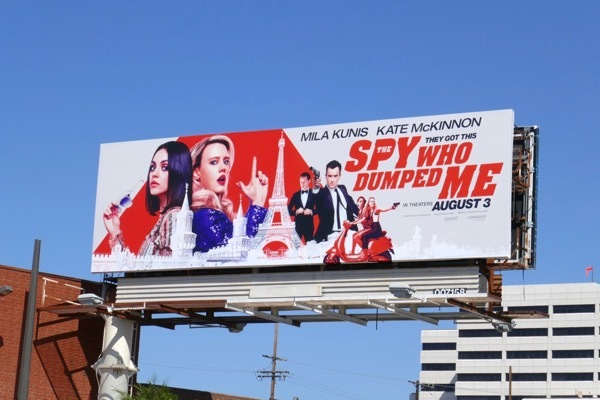 Plus Kate McKinnon fans can check out these SNL billboards and these Ghostbusters movie billboards. 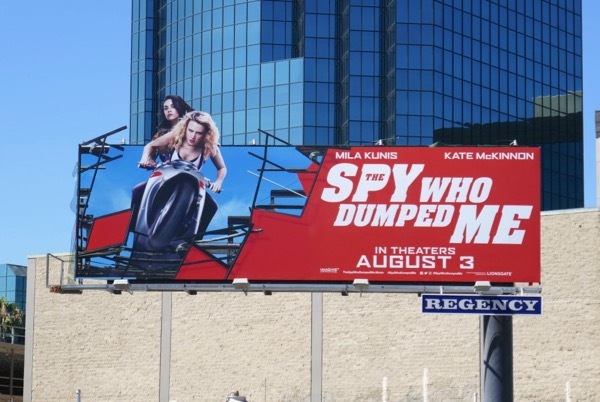 For more female spy action you can also enjoy these Melissa McCarthy Spy movie billboards and these Angelina Jolie Salt movie billboards. 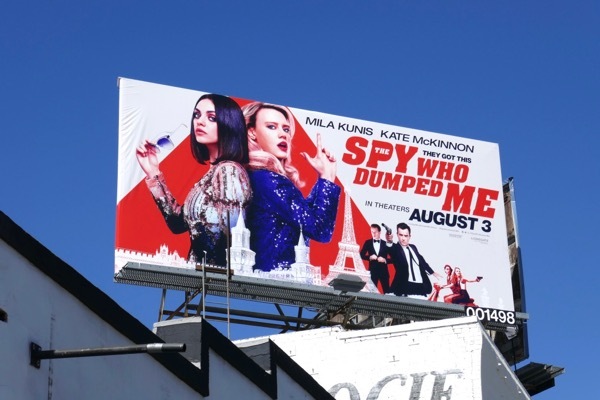 Turns out being dumped isn't the worst thing that could happen to you, being shot at and tortured even worse, so it's up to these funny ladies to save the day this summer. 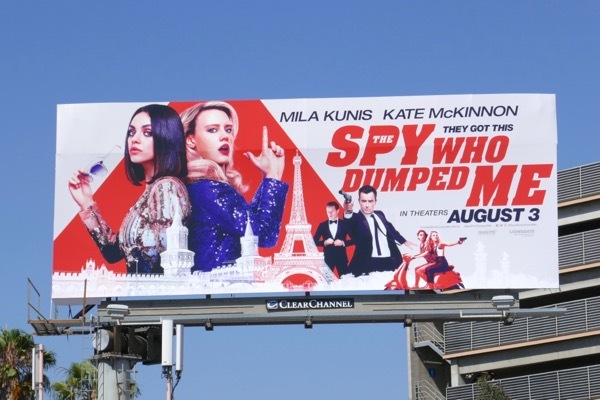 UPDATED: Here's also a fun painted wall mural ad for the spy comedy spotted along Melrose Avenue on July 25, 2018.